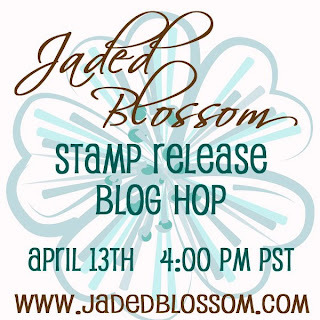 Jaded Blossom: Just for You Sneak Peek!!! Wow! What a gorgeous card! !The distressing of the paper, beautiful lace along with that striped ribbon looks fabulous!! Awesome sentiment too-well done! Gorgeous Card Abby. Everything is perfect and Love that sentiment. This is gorgeous Abby!! LOVE it! And I love the big ribbon and bow too. Gorgeous Gorgeous Gorgeous!! Beautiful job Abby! I really love that ribbon! Very pretty card. I love it. I cannot wait for the new release tomorrow. I am in love with all of the sneak peaks. Beautiful love the shabby chic look.Beautiful bow. Ohhhhhhhh I <3 the big bow Abby! Very pretty!!!! Beautiful Card! 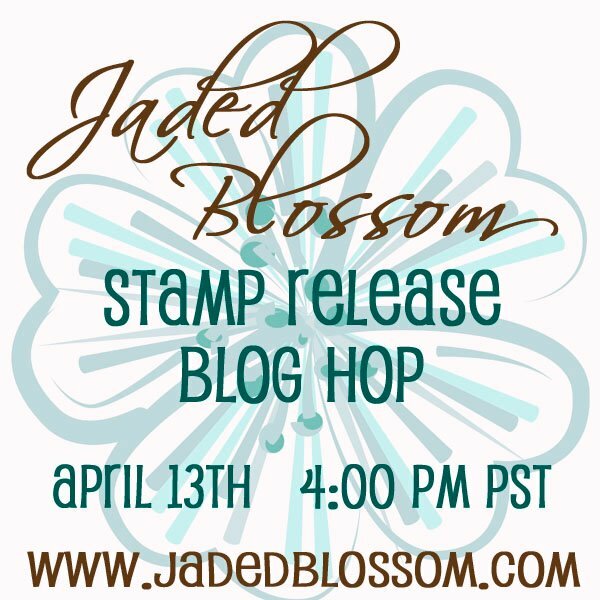 Love the stamps and the bow is so pretty. This is really an awesome card! It is sooooo pretty! Thanks for sharing. This is really beautiful! I love the vintage look of the tag, the perfect bow and lace!